HomenewsUncategorizedCan Smartphones Be Our Doctors in the Future? Can Smartphones Be Our Doctors in the Future? Nowadays, living without a smartphone is not a life that anyone would consider ideal. Smartphones have made a lot of things easier in our world. Students use them to research and acquire information. They come in handy during communication, taking photographs as well as recording videos. Again, you can use them to read the news, pay bills, shop and even entertain yourself whenever you are bored. They are for everyone since most of them are compatible with hearing devices. For people with hearing difficulties, having hearing devices connected to your smartphone will enable them to control many aspects of the device such as the volume, phone calls, the audio delivered from TV, phone calls and even music. Interestingly, these devices have also proven to be quite useful in healthcare. With them, you might not always have to make an appointment with your doctor when you, or your loved ones, are ailing. Here are some of the reasons why they are potentially set to become our future doctors. With the new and numerous technological advancements that the world has seen, you can use smartphone-enabled gadgets to monitor your health as well as that of your spouse or children. Most of these award winning apps require the phone’s camera or microphone to operate properly. For instance, there is already an app that can screen for pancreatic cancer that was created by researchers at the University of Washington. All you need to do is take an exposed selfie and let the app’s algorithms check your eyes for any symptoms of the fatal disease. More gadgets include Dario that monitors blood sugar and Biomeme that is used for DNA analysis. Others may require small attachments that you will need to purchase. Some of them behave like small EKG machines to enable your smartphone to observe your heart’s activities. If you are worried that one of your children has an ear infection, but you don’t have enough time to take them to the hospital, all you have to do is attach an otoscope into the smartphone. It can record a video of their eardrum, and you can send it to your pediatrician for an examination. You can also use a smartphone for self-diagnosis based on the symptoms that you are experiencing. Once you type them into WebMD or another website that specializes in human health, you can know the disease that you are more likely to be suffering from. If you have a rash, you can take a clear photograph using your phone and search it on the web to know the type of infection you might be having. This means that you don’t have to make an appointment with a physician and drive all the way to the hospital to see them. It also enables you to be more prepared, both mentally and financially, to face whatever illness you might have. Again, you can use your smartphone to fasten your recovery after you have fallen sick. This is by setting up reminders on your phone to tell you when you should take your medicine or go to a clinic; especially if you are a forgetful person. This enables you to take your meds as you should; thus leading to progress. After a while, you will have fully recovered since you will have done everything that your doctor advised you to. You may also use them to help you lead a healthy lifestyle; by reminding you when it is time to take a walk, hit the gym or eat a snack. Moreover, if you have a smartphone, you don’t have to visit a doctor to share your problems with them and seek help. You can go for a video consultation with a particular physician that you trust. That is not all. They can help you perform certain procedures like washing and sewing a wound without getting it infected. This eliminates the need to see a doctor; since you can use your phone to get all the help you require from them. 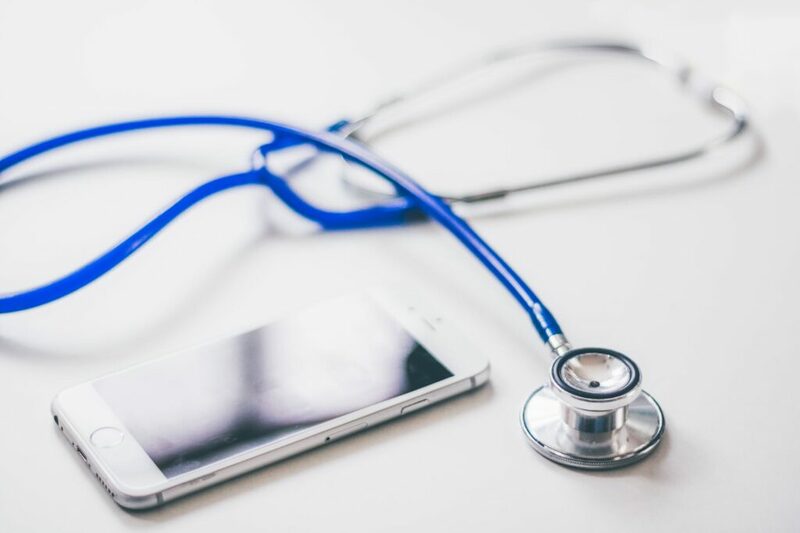 With Telehealth establishments like Kaigo Health, you can contact medical experts with the use of your smartphone even when you are miles apart. However, even with all these transformations that smartphones have brought to the medical field, some people have raised concerns about the accuracy of the apps in use. Using a defective application can lead to false test results that can cost a patient later. The use of the gadgets also underestimates the importance of medical experts since some individuals do not see the need to consult them. To sum up, smartphones can be our doctors in the future. There are a lot of things that you can do with them without necessarily visiting a real doctor for advice or help. With specific innovative smartphone-enabled apps that have been created, you can screen for diseases and perform medical procedures. With them, you don’t need your doctor to call you now and then to check if you have taken your meds; all you have to do is set a reminder on your phone. They also enable you to self-diagnose, consult your doctor via videos as well as lead a healthy lifestyle. The post Can Smartphones Be Our Doctors in the Future? appeared first on erpinnews.